Hello out there my fellow Royals! While still knitting and trying to get things done… I was able to make a little gift for a little one. 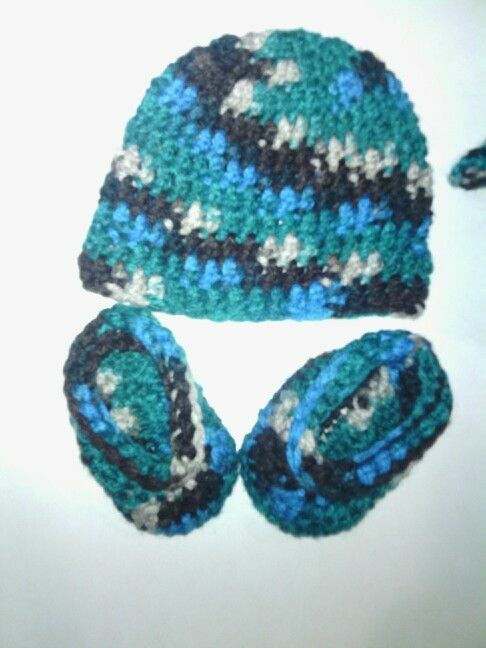 I cant get enough of knitting for little ones. Its always so fast and looks so sweet. I have so many things that was made for little ones… well only because I started my obsession with babies while pregnant. My husband and I decided that we will have a “push surprise”.. so in the mist of waiting until our due date I knitted and crocheted like crazy. Secretly wishing for a son, I knitted all kind of things in all kinds of colors. Now that I have another little girl…. I have all these things that she can not wear. Well I guess she can. I already have a lot of clothes and such for her since I saved all of my first daughter clothes…. smart huh. Even so I cant help but make more things and keep spoiling my babies. I want to make a sweater for both of them… just got to breath and do it…. start simple! Get to know me better visit my About page!